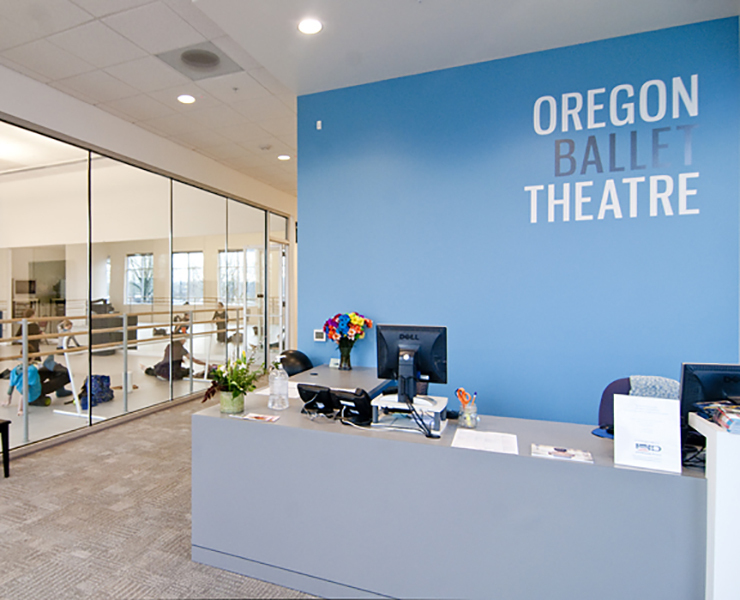 The new home for the nationally recognized Oregon Ballet Theatre (OBT) is relocated to an existing warehouse on the west bank of the Willamette River. 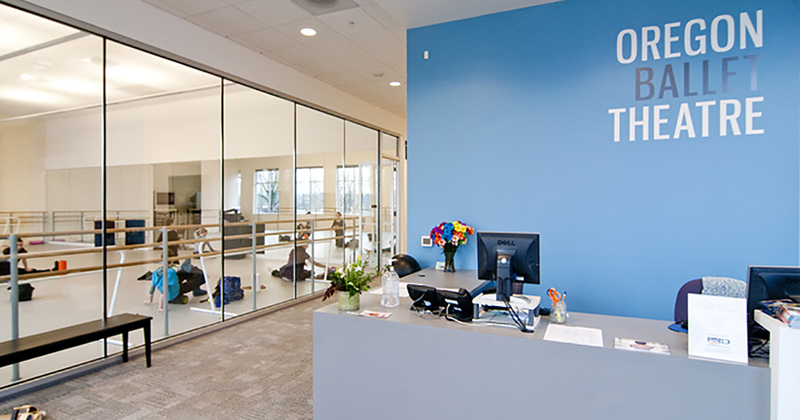 Working within the constraints of a frugal budget, Opsis’ effort included in-kind design services to transform the interior of the existing building through the creative repurposing and reconfiguration of found materials from OBT’s prior and new home. 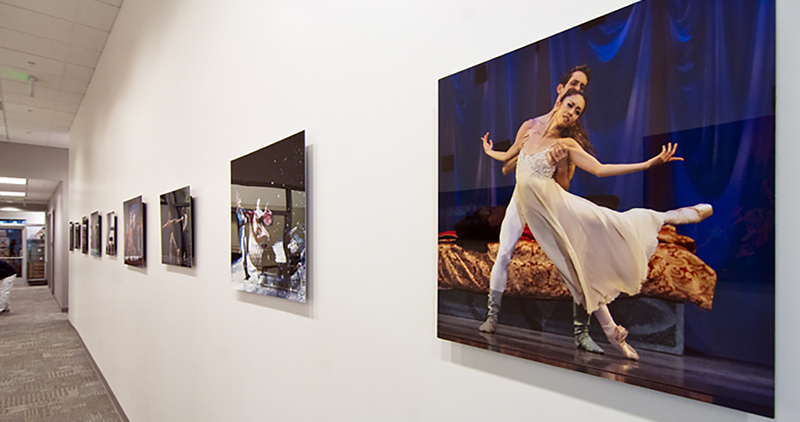 The new OBT center is composed and detailed to reflect a blend of tradition and contemporary expression that is reflective of OBT’s brand. 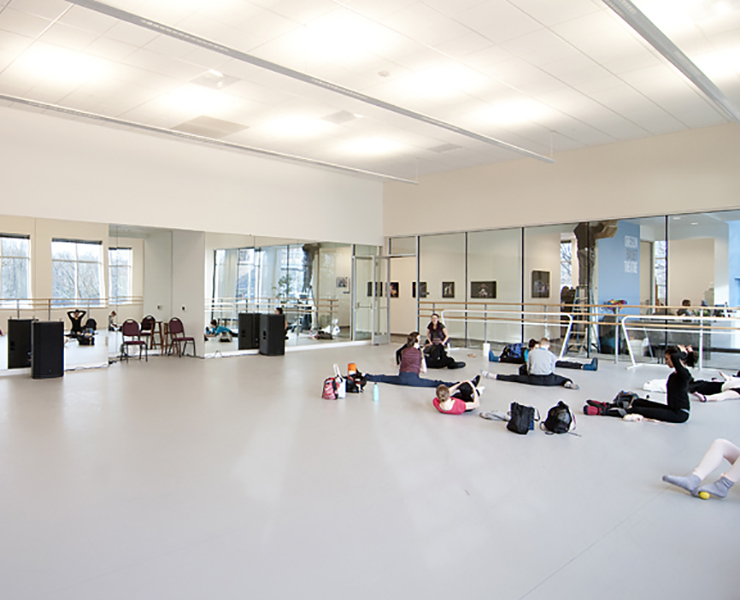 The 14,000sf space includes three studios that support both the professional ballet company and fast-growing ballet school. 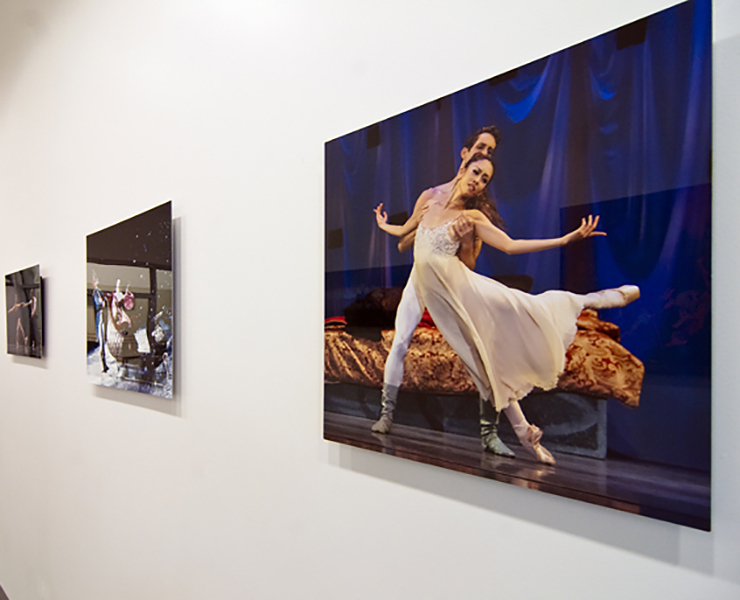 The daylight infused studios integrate interior views into the process of making ballet. 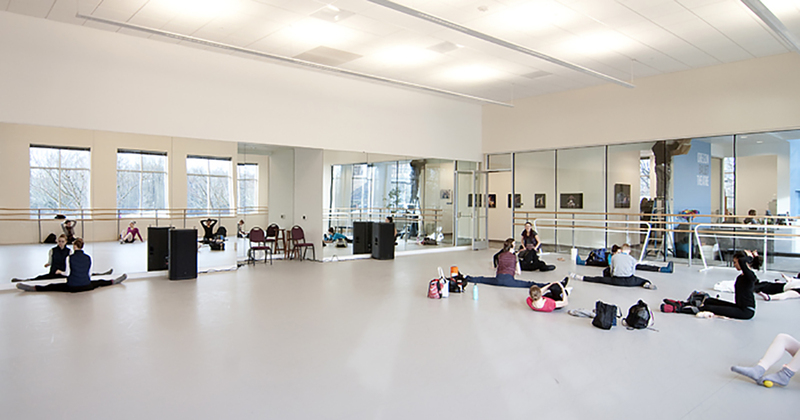 Complementing the ballet studios are the gym/training room and physical therapy space, staff offices, box office, wardrobe and education outreach departments, and locker rooms for both company dancers and students.